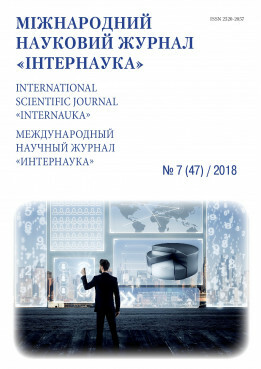 Dovgal O., Stepaniuk А. Kinetics of drying process of energetic willow // International scientific journal "Internauka". — 2018. — №7. Summary. The kinetics of drying chips of energy willow without mechanical processing and machining has been experimentally tested. Key words: energetic willow, dryer, drying, wood pellets. Анотація. Експериментально перевірено кінетику сушки тріски енергетичної верби без механічної обробки та з механічною обробкою. Ключові слова: енергетична верба, сушарка, сушіння, деревні пелети. Аннотация. Эксперементально проверено кинетику сушки трески энергетической ивы без механическою обрабтки и с механической обработкой. Ключевые слова: энергетическая ива, сушарка, сушка, древесные пелеты. Formulation of the problem. After collecting energy willow, its humidity is 55-60%, which is not effective at burning in boilers. For greater efficiency, the cod is pre-dried in different types of dryers, which reduces the humidity to 40%. For maximum efficiency, the method of drying with the previous mechanical deformation of wood was proposed to reduce the drying time and reduce the moisture of the cod at the exit from the dryer. Wood pellets are one of the few alternative types of fuel, the use of which is expedient, both from an economic point of view and from the point of view of environmental safety. The main advantage is that the raw material for the production of pellets is wood - a renewable resource that has the ability to accumulate large amounts of solar energy for a long time . White pellets-grade "premium" light color are made of crustless wood. The calorific value of such pellets is 17.2 MJ / kg. Industrial pellets - a grade of lower quality. The product includes wood bark and non-combustible residues. The thermal conductivity of such pellets is almost the same as in the premium grade. Agro-pellets - fuel from waste buckwheat, sunflower seeds. They have a black color. Heat capacity - 15 MJ / kg. The main advantage is the low price. To improve the quality of products when producing pellets, it is necessary to dry. Drying, as the process itself, prevents the appearance of primary rotting, fungal stains and the attack of certain types of insects [2,3]. The aim of this work is to investigate the kinetics of drying of energy willow in a dryer with recirculation of air with a preliminary mechanical deformation of wood in order to reduce the drying time and reduce the moisture content of cod. The drying material is placed in a drying chamber on a frame that is connected to electronic weights. The rheostat regulates the heating of the helix of the heater and, accordingly, the temperature of the air mixture entering the drying chamber. For carrying out, a dryer with recirculation of air was used (Figure 1). The installation itself preheated to a given air temperature in the middle (in this case, a warming up to 40 ° C was performed) without loading the prototype. The first series of experiments was carried out to determine the drying temperature and the mass of the willow energy bar, depending on the time of the process. The second series of experiments was carried out after mechanical deformation of the prototype. The change in the mass of the test specimen without mechanical processing relative to the time is shown in Figure 2. According to the analysis of the graph (Figure 2), a graph 3 was constructed, which depicts the results of the approximation of experimental data. One can conclude that the time spent on drying the wicker of energy willow leaves without mechanical deformation is 12 minutes more than with the previous mechanical deformation. Conclusions. Analyzing the results of experimental data, it can be concluded that the drying time of the non-deformed test sample, which is 43 minutes, is greater than that of the model that was subjected to mechanical deformation of 35 minutes by 15%, that is, mechanical deformation must be carried out before drying. V.M. Lykov Drying in the chemical industry "Chemistry". - M. - 1970. – 432 p.
Process of thermophological processing of energetic willow/ Dovgal O.O. Korinchyk D.M. Resource-saving technologies. XII Internar. sci. conf. graduate students, young graduates and young scientists (26-27 of april 2017 Kyiv) Publishing House “Dopomoga” – 22-23 p.
Investigation of the operation of the dryer with the recirculation of the part of the produced air. Methodical instructions / I. Andreev - K .: KPI, 2008. - 18 p.